Vince Staples is quickly becoming a predominant force in the hip-hop genre. Hailing from Long Beach, California at the young age of 23, he’s made quite an impact during his young career. He spent many years grinding away, releasing mixtapes and doing features with Odd Future & Mac Miller. Now his success is finally paying off as he breaks through hip-hop’s glass ceiling. His debut album, Summertime '06, was released in June, 2015 to widespread critical acclaim, and later that year, he was chosen for XXL’s Freshman Class. The song “Lift Me Up” comes from that album, and chronicles Vince’s life before music back in the summer of 2006. 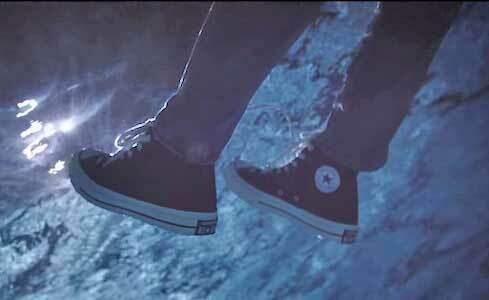 Vince’s chucks in the Pacific Ocean. The song is about Vince’s life in the summer of 2006. Vince contrasts the lifestyles of the well off upper class with the grit of his upbringing in North Long Beach in the summer of 2006. He looks at what is “above” him and asks to be lifted up to that same status. He wants to be lifted up out of poverty, anger, and depression to the life that he perceives he can have if he is successful in music. The beat is very tense and unsettling, and adds a gritty tone to the song. Vince’s flow also gives the sense that he’s always out of breath. This is intentional, as he is aiming to make us feel like this is a struggle because it is for him. His feet are still planted on Long beach soil. The music video begins with a shot off the coast of California in the Pacific Ocean, where we find Vince being lifted up through the water and onto the shore. This visual of him being lifted is used throughout the video, and for the most part, we the audience are looking down on Vince, as if we are the ones lifting him up. This is apropos considering he views music as his way out, and the listeners are the ones that can make that a reality. 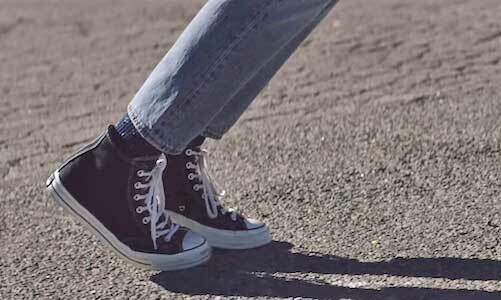 In the video, Vince wears a pair of classic black chucks that really tie him back to the Long Beach/Los Angeles style. Vince Staples being lifted up. Lift yourself up in a new pair of chucks by clicking on the links below.